Espresso Italia Distributorship franchise business opportunity. Free Espresso Italia Distributorship business franchise information. Direct from Italy, Espresso Italia has designed a state of the art automatic espresso and coffee machine that, with the push of a button, produces some of the most delicious espresso, cappuccino, cafe latte, coffee and specialty teas you have ever had! This extraordinary espresso system is the result of many years of extensive research in the worldwide coffee and espresso markets. Our high quality espresso machines are imported from the espresso masters of <?xml:namespace prefix = st1 ns = "urn:schemas-microsoft-com:office:smarttags" />Italy, eliminating the problems of traditional espresso machines of poorer quality. We now offer you and your customers this unique combination of maximum quality and reliability. Coffee spills and excessive cleaning are now a thing of the past! Our espresso coffee machines offer a full factory warranty. Your customers will absolutely love our machines! They are easy to use and make delicious cappuccino, espresso, coffee and tea. Americans drink 400 million cups of coffee per day. Coffee shops such as Starbucks are on every corner. Why not enter into this exploding market yourself by starting your own espresso machine distributorship? We make it easy for you. The coffee and tea comes in a pre-measured, pre-ground, single serving capsule. The capsules are in a vacuum packed sleeve, guaranteeing a fresh brewed coffee beverage every time with no mess and no waste. Call today or fill out the form below to learn how you can start your own Espresso Italia distributorship! Looking for a home based business opportunity? 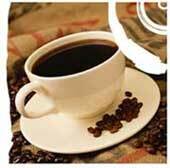 Start your own business today by opening a gourmet coffee distributorship. A new business opportunity that allows you to make an unlimited income has emerged in the exploding gourmet coffee distributorship business. To learn more about Espresso Italia distributorship business opportunity, simply complete the form below.